I am blogging over at JustB! Pip put together a pretty collage of my pics – I love it! I have written the five things I wish I’d known at fifteen. Pop over to read what I have to say, and explore the fab JustB site. Thanks for having me, JustB! 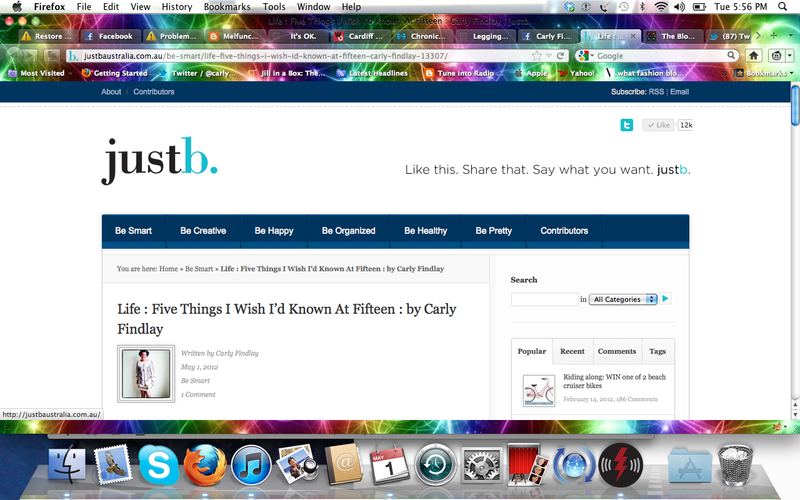 Loved it Carly, a gorgeous article.